A lifetime fitness enthusiast, Rachel has enjoyed sports, the outdoors and improving her health and that of others since she was a child. Rachel was a collegiate soccer player at Willamette University and graduated with a Bachelor’s degree in both Exercise Science and Psychology. She has been a certified personal trainer since 2010, holds her CrossFit level 1, CrossFit Football, USAW and CrossFit Endurance certifications. She also owns her Nutrition consulting business, Whole Origins Nutrition which is located at CrossFit Lacey. 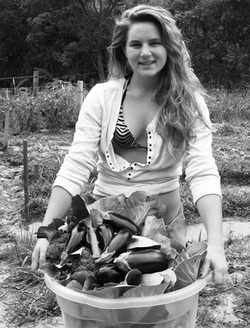 Rachel conducts popular seminars and nutritional coaching and therapy benefitting the local community. Rachel not only plays soccer but enjoys rock climbing, running, cycling as well as triathlons and will bring her perspective on Cross Fit Endurance to the community adding another dynamic element to the gym. She has experience with organizing and managing cycling and running groups both for profit and for charity and plans on continuing this at CrossFit Lacey.